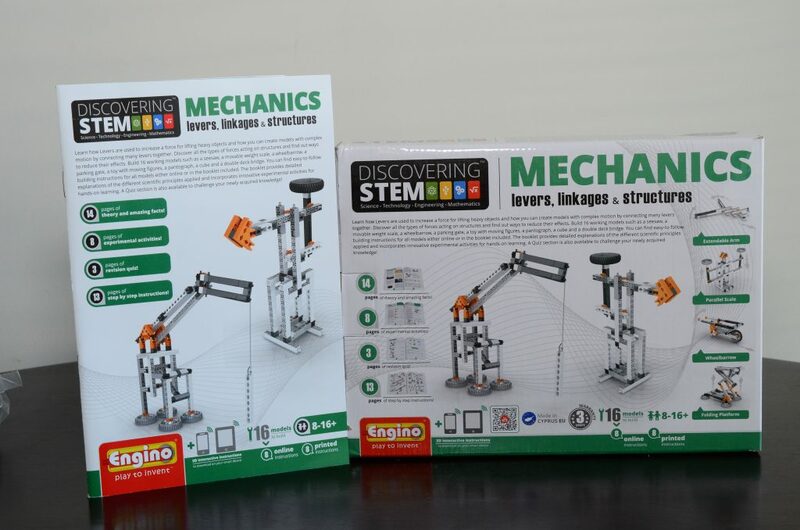 Mechanics – levers, linkages, and structures (by Engino.net) is a building kit that allows children to build simple or complex models using various components. 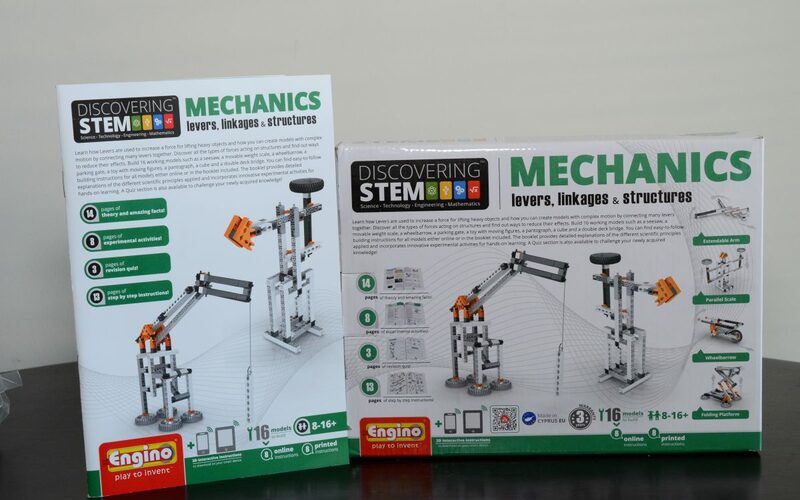 This engineering based toy allows kids to learn how levers are used to increase force for lifting heavy object. 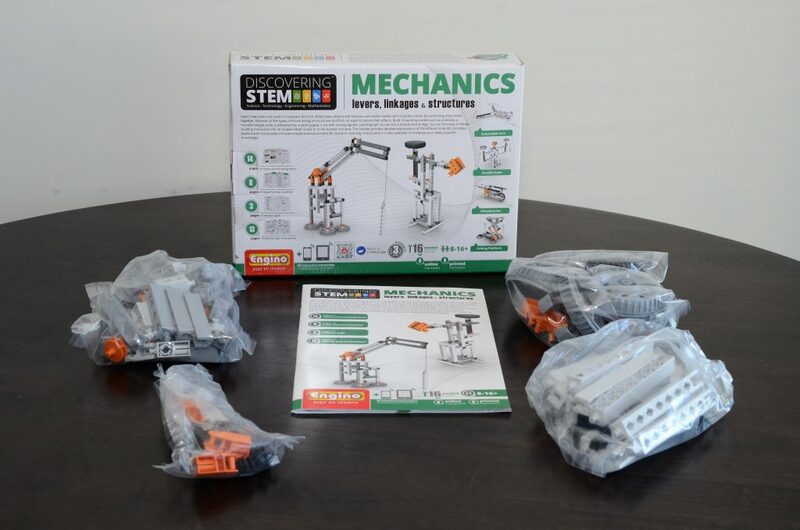 Kids will be able to create models connecting many levers together.